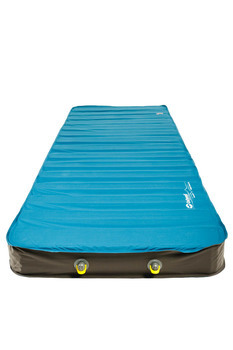 This new Dreamboat self-inflating mat uses a 3D welded stretch polyester construction. It features twin Air Flow Control Valves adding even more flexibility and speed in use. 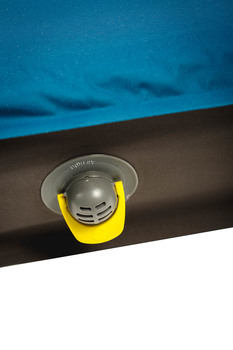 Ingenious heat regulation is achieved through oversized air core sculpting which enables greater or less body heat retention depending on which mat side is slept on. This air core design also offers campers a softer sleep sensation as well as better ease of packing, lower weight and neater packed size. 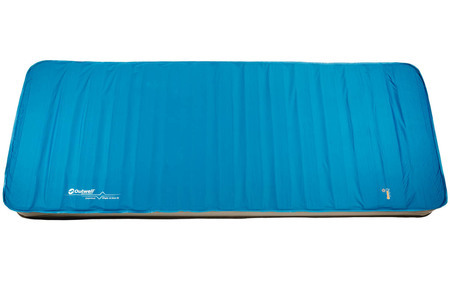 We really like this self-inflating comfortable mat for campers. It offers good heat retention and you can have two levels of insulation if you want by simply turning the mat over.